It's time to break out (and refurbish) some of my Rogue Trader miniatures! My last post was a rumination on the close and mutually beneficial connection between roleplaying games and war games in the 1980's. This conversation seques right into Warhammer 40,000 Rogue Trader (1987) by Rick Priestley. Of course Rogue Trader was not completely a roleplaying game either: the players controlled multiple models, they generally fought against one another, and these models had no capacity to develop if they survived from one battle to another. This made Rogue Trader a quick, unsentimental game. It gave players the flavour of a roleplaying game without all the calories. This hybridization of role playing and wargaming led to some grand results. In my view, Rogue Trader remains the best illustrated, most original and engrossing rule book ever produced. It is no exaggeration to say that every one of its 272 pages contains some image, quotation or photo that stimulates the reader into populating the Warhammer world with his own imagination. But that's not all. 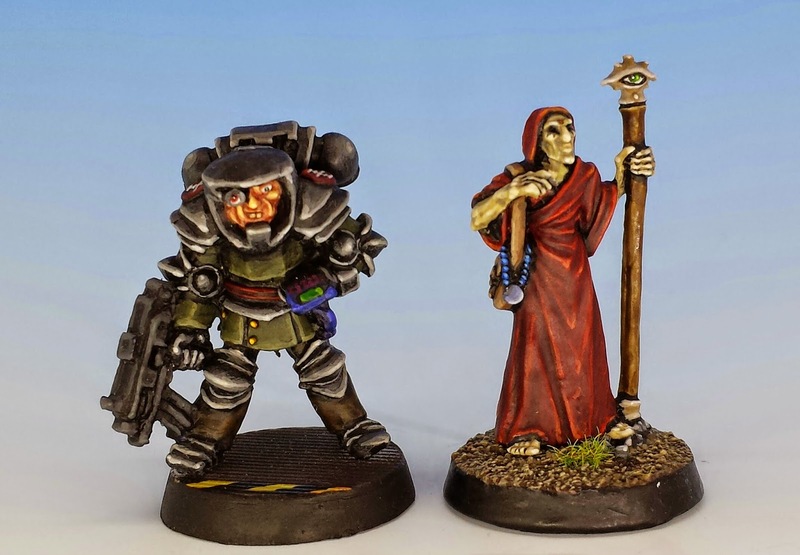 The story-and-character driven nature of Rogue Trader had an important impact of the designs of the miniatures. These early sculpts placed a real emphasis on giving each miniature his own persona, like bucked-toothed inquisitors, skeletal astropaths or bulbous-headed Space Marines. 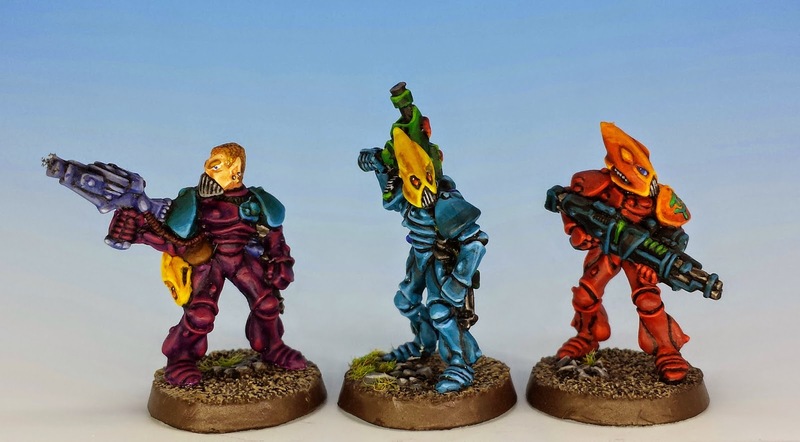 As well, rather than the homogenous armies that would come in later editions of Warhammer 40K, the original Rogue Trader range was populated by misfits: space pirates, adventurers, mercenaries and (my favourite) Eldar outcasts. These characters didn't and never would fit into any army list. Uniforms were not uniform and weaponry was improvised: Space Marines carried shuriken catapults and Eldar carried shotguns. These were just the sort of figures to rescue your ship from that schmuck Goldberg. I'd actually note that both 6th and 7th edition 40K are not designed in any way for competitive play. All through the text, the emphasis is on telling a story and picking models that fit that story. I really get the impression from talking to studio staff that the 'move' towards tournament / competitive play was never truly intended, and there's a real effort to push the emphasis back to narrative gaming - although with a more militaristic, updated canon rather than the slightly more fast and loose Rogue Trader situation. I'm glad to hear that - I confess that I'm pretty checked out of the current 40K world. I think I stopped buying the books around the 5th edition. My only recent experience is going to Hot Lead ("Canada's Premier Wargaming Conference") and seeing long rows of tables laid out for Warhammer tournaments. It looks sort of like a chess conference. That's where intent and interpretation vary wildly! There's a large number of people who seem to want 40K to be a competitive tournament system - and then get very upset when it isn't. Excellent post, I wholeheartedly agree ! 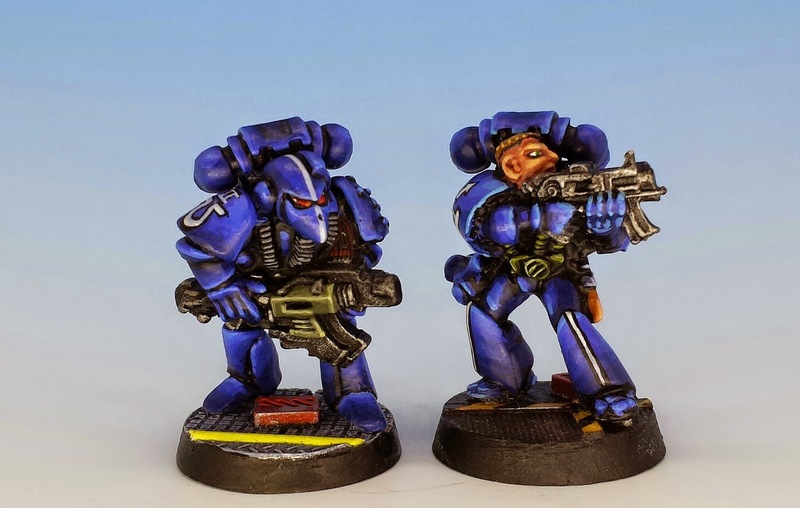 Rogue trader has one major advantage over it's offspring, everyone can twist it to make it his own. I have enjoyed later editions and since I've only played with friends and bnever in a competitive environment I cannot complain on the later editions being too much that or too litthe this. That said, I found the rules and setting were always getting more and more narrow. The responsible one mentionned the word "cannon" and I think everythjing originates form this. 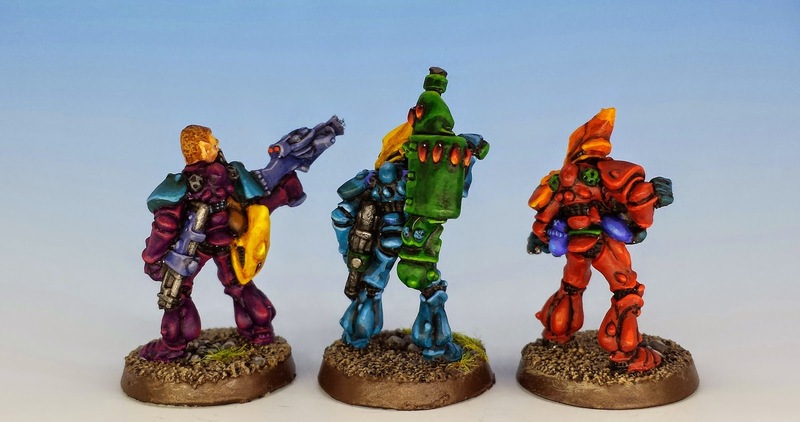 While it' strue Rogue trader has evolved a lot during its life with many aspects changing, rules changing, background changing and all, it somehow kept a loose form enabling anyone to make it his own. Newer editions aren't bad really but it requires a lot of work to do something else than battles between armies with them because it's what the game is meant to be for now. I prefer small skirmishes between space pirates and traders, I like to have NPC's to save or assassinate, I want to have a whole range of silly wild fauna and aliens instead of having brazillions of space marine entries. The game is what we make of it but Rogue trader seems a more convenient tool for narrative games than its recent offspring. I am starting to get ideas about playing around with Rogue Trader style scenarios in 7th edition and seeing how that works. I shall have a think. It should work just fine, I played some games like this with 4th and 5th and it was fine really. Only things it to gather profiles and all from codices instead of having them all writeen in the rulebook like in RT or having a PV generator (very handy). That said for any skirmish need I 'd go for conforntation now, it adds the roleplaying part other rules lack, Necromunda and 40k ar ebasically move/shoot/fight, having some possibilities for interacting with the board and things like that is intersting I think but you can also just consider such actions can be done in the shooting phase instead if you want something easy-going. I love the inquisitor mini and your paint job is not at all how I expected him to be painted (and I mean that in a good way). Great work. 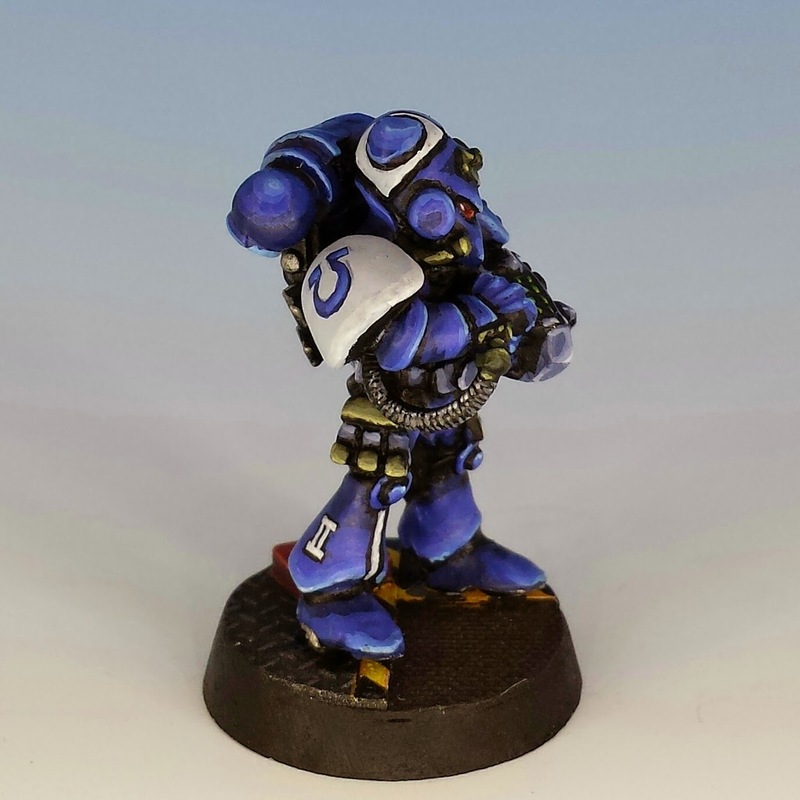 And the blending on the Ultramarines is phenom (as the kids say) - they really pop! As for the role-play/wargame/tourney debate, all I can say is that I was drawn to 40k by the minis and the fluff. But after chasing editions (5th to 6th to 7th in just a few years), seeing codex changes and eyeing the hyper competitive scene (a la BOLS), I was drawn to the slower, friendlier Oldhammer aesthetic. Modern 40k may not be designed for tourney play, but the vast majority of folks, at least on the internet, seem to think it ought to be. Very nice figures. And I totally concur with your comments on RT. I actually had a brief chat about that with the manager of my local GW store not long ago. I can see (from a commercial perspective) why they changed things up but I can say I still prefer RT over what followed. 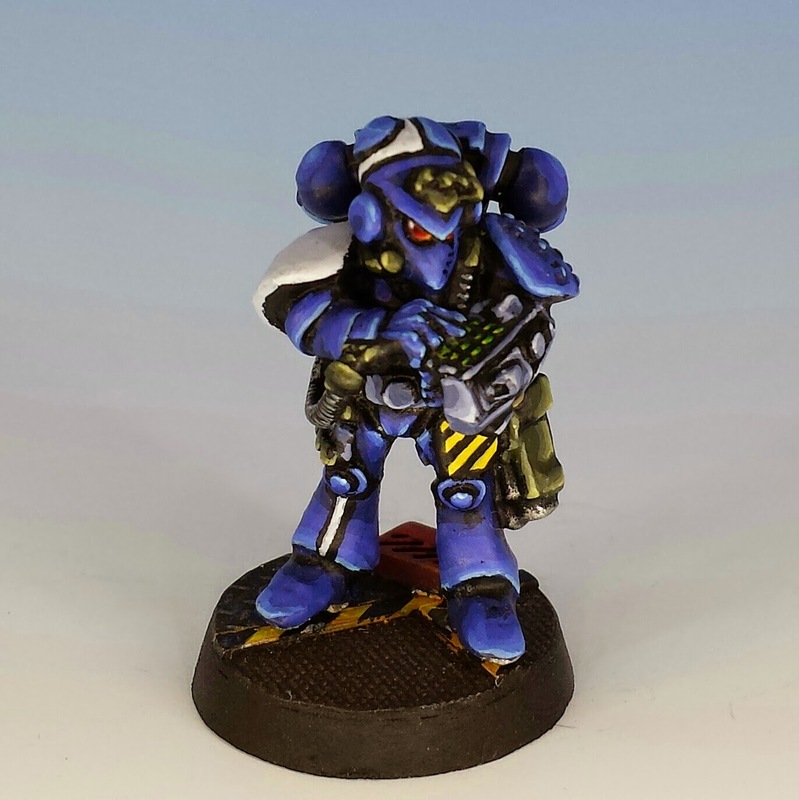 I really like the painting on the RT marines, and the newer backpacks work surprisingly well with the older models. It's making me want to paint some too! Good eye, Marcus. 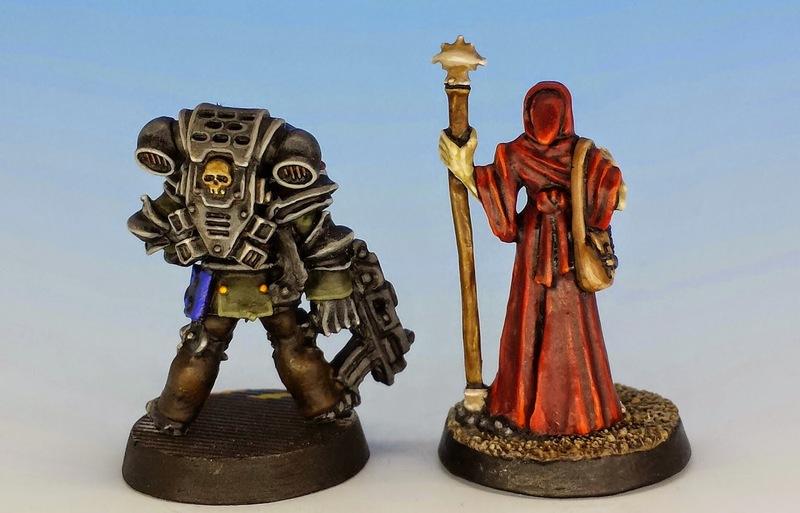 It's true - I'm pretty loose about things like using modern backpacks on vintage miniatures. Ce blog est fantastique. Je suis fan. Totaro & Associates has published a new study of the patent landscape of utility grade, horizontal axis wind turbines. We looked at 1461 patents in the US and provided a component and ada keyword classification, assessment of industry relevance as well as look at future technology trends in this space. Technology is vital to the existence and competitive edge of any company. I believe that's the great Spend Management Software of the year. Look at what technology allows us to do as compared to 30 years ago; now think back about five years, we've come a long way. One aspect of business that is constant is that business processes will constantly change as compliance opportunities evolve. Introducing new technologies to advance business goals is usually disruptive. Understanding and acting upon inherent pitfalls in the process of introducing new technologies as discussed in this article can make the process empowering.